Does your hand feel numb? Does the numbness only involve the hand area (palm and fingers) and not the arm? If so, you are probably experiencing carpal tunnel syndrome. Carpal tunnel syndrome is caused by pressure on the median nerve in the front of your wrist. Believed to be caused by too much pressure or work using the hands, the syndrome is commonly experienced by musicians, carpenters, construction workers and people who use computers for many hours throughout the day. In its early stages, symptoms may include tingling or numbness in your thumb, index finger, middle finger and outer border of your ring finger. “Carpal tunnel syndrome happens when the space in the carpal tunnel becomes smaller or the tendons in the tunnel thicken, placing pressure on the median nerve. Anatomically, the carpal tunnel is a narrow passageway at the palm side of your hand (near the wrist). “Through this opening passes the median nerve and several tendons used to bend the fingers. 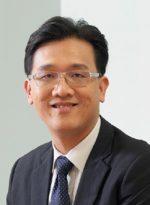 In carpal tunnel syndrome, there could be some swelling and narrowing of this opening, thus compressing the median nerve,” explains Dr Lim Li Aik, consultant orthopaedic and trauma surgeon of Oriental Melaka Straits Medical Centre. Symptoms of carpal tunnel syndrome include pins and needles – a numbing, burning or tingling sensation – in your thumb, index and middle fingers. In addition, you may feel pain that moves up your arm to your elbow or experience pain that worsens at night, interrupting sleep. “You may also experience hand weakness and difficulty gripping objects with your hands or dropping objects easily,” adds Dr Lim. Other conditions or risk factors such as diabetes and heavy alcohol drinking are also associated with carpal tunnel syndrome. “Inflammation caused by rheumatoid arthritis and infections can also affect the wrist tendons passing through the carpal tunnel passageway. 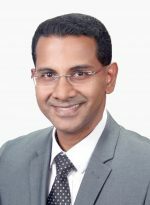 “Other health conditions, such as pregnancy, obesity, kidney failure and thyroid diseases, can also give rise to excess body fluids, thus contributing to hand swelling,” explains Dr Gopinath Mathavan, consultant orthopaedic and trauma surgeon of Oriental Melaka Straits Medical Centre. Surgery is recommended when a patient does not respond to non-surgical treatments or the syndrome has become severe. Surgery for carpal tunnel syndrome is an outpatient procedure, which means it does not require an overnight stay in the medical centre. “During surgery, the surgeon will make a single cut in the front of your wrist at the base of your palm. The surgeon will then open the carpal tunnel and release the transverse carpal ligament to relieve the pressure on your nerve,” says Dr Lim. Dr Gopinath adds, “After surgery, patients may experience brief discomfort that lasts from 24 to 72 hours. Recovery time varies depending on the patient’s age, general health, severity of carpal tunnel syndrome and the length of time symptoms have been present. It is important to effectively treat carpal tunnel syndrome as promptly as possible. The longer the median nerve remains compressed, the more damaged it can become. If the nerve is compressed for too long, it may not recover even after the pressure is relieved. Eventually, that could lead to permanent weakness and lack of coordination in your fingers and thumb. For more information, call Oriental Melaka Straits Medical Centre at 06-315 8911.